So, it turns out that there are people who are really, really enthusiastic about Mac OS X, as I discovered at the Tiger launch party in Shadyside last night. And now, I have photos to prove it. Thanks to Jenny Ladd for the photos! 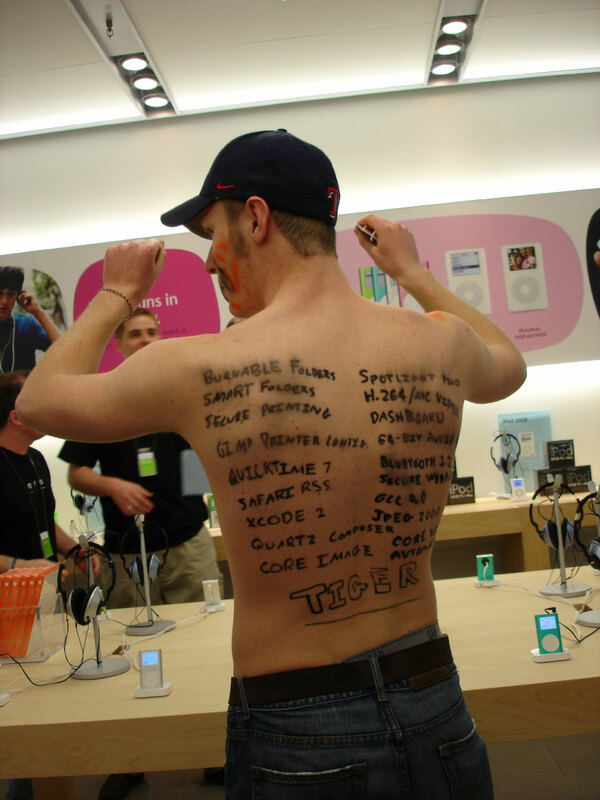 Ah, the cult of Mac is strong, eh? Today I chatted through iChatAV with a guy in Italy who told me he kisses his iBook when no body sees him. Talk about a freaking cult, LOL! I was told that there was someone doing face painting for the people in line; that contributed to the decoration.